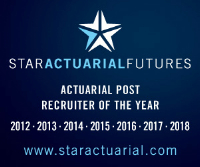 My client is a global life insurance/reinsurance business seeking a junior actuarial student to join their pricing team. This role offers the opportunity to work in a unique team with an international reach but is based in London. The ideal candidate will have 1-3 years of experience and be making good progress through their exams. Previous experience within a Pensions Consultancy, or Life Insurance Pricing, position is required, as are strong communication skills.